The Health Law practice at Lamb McErlane led by Chairman Vasilios “Bill” Kalogredis brings an extensive amount of experience representing physicians, dentists, group practices, other health care professionals and health care-related entities. It can be a headache for providers to comply with the lengthy checklist of requirements for submitting a claim to Medicare. One of those requirements is obvious but often forgotten—a signature. Medicare requires signatures on submitted medical records including notes, lab results, clinical observations, and orders. An absent signature can result in a denied reimbursement or a recouped overpayment. A provider can remedy forgotten signatures on most medical records by submitting an attestation statement. The statement must itself be signed, dated, and provide adequate information to identify the patient. Note that some jurisdictions may have additional requirements or restrictions as to such statements. If an order is missing a signature, however, an attestation statement may not be sufficient. This is because Medicare requires a valid order to be contemporaneously signed. For certain unsigned orders, Medicare may accept signed progress notes evidencing an intent to order. If the signature on a medical record is present but illegible, then Medicare allows providers to submit an attestation statement—as with other medical records—or signature log. A signature log is a typed listing of physicians and non-physician providers along with their corresponding signatures, which a provider can create and submit to Medicare at any time. Even when a signature is present and legible, it can be inadequate if it is electronic. Medicare permits electronic signatures only when compliant with additional requirements. For example, the software providing the electronic signature must have protections against modification. Medicare places the responsibility of authenticating the attested information on the electronic signer and the provider. Given the complexity of this seemly simple checklist item, it is important for providers to speak with an attorney, and often their insurers, for additional guidance. For more information, see CMS’s May 2018 fact sheet here. Vasilios (“Bill”) J. Kalogredis, Esquire is Chairman of Lamb McErlane’s Health Law Department. Bill has been practicing health law for over 40 years, representing exclusively physicians, dentists, group practices, other health care professionals and health care-related entities. 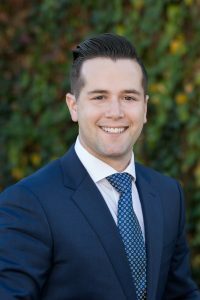 Andrew Stein is an associate at Lamb McErlane PC. He concentrates his practice at the intersection of health law and business law. He represents individuals and businesses with a primary focus on licensed medical and dental professionals, medical and dental practices, and other health care entities.